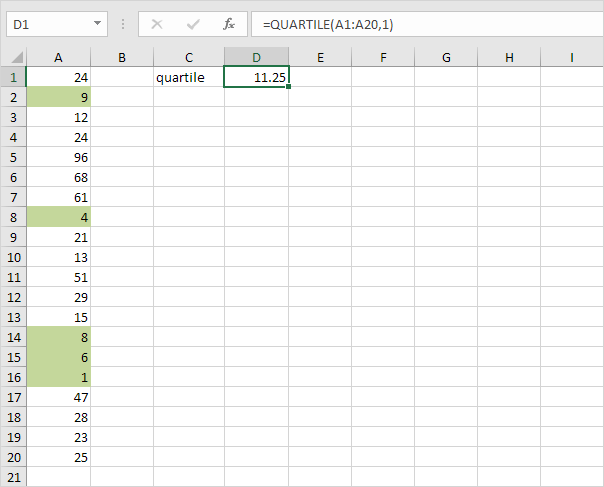 This example teaches you how to use the PERCENTILE and QUARTILE function in Excel. Below you can find a list of scores (green fill for illustration only). Note: The second argument of the PERCENTILE function must be a decimal number between 0 and 1. 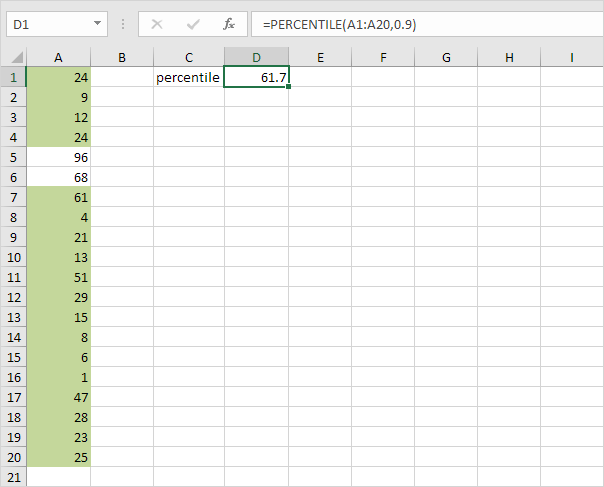 Excel uses a slightly different algorithm to calculate percentiles and quartiles than you find in most statistics books. If you're interested, download the Excel file. Note: The second argument of the QUARTILE function must be a number between 0 and 4. 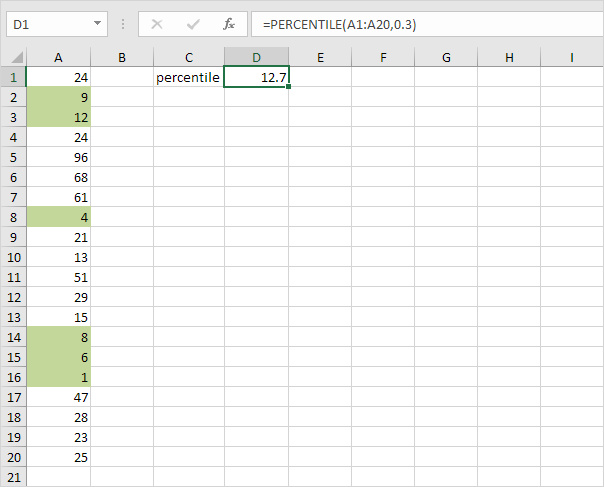 PERCENTILE(A1:A20,0.25) gives the exact same result. It's up to you which function you would like to use for quartiles. Below you can find an overview.